Disney animated short. With Christmas fast approaching, Anna (voice of Kristen Bell) and Elsa (Idina Menzel) organise a celebration for everyone in Arendelle. However, when the party dies down and everyone heads home the sisters soon realise they don't have any holiday traditions of their own. 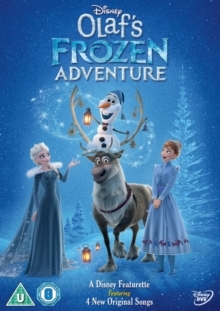 Determined to save Christmas, Olaf (Josh Gad) sets off into the kingdom in a bid to look for the best holiday traditions and bring them home for his friends to enjoy.